I’m like a kid. I’m so excited. I’ll never forget this day! 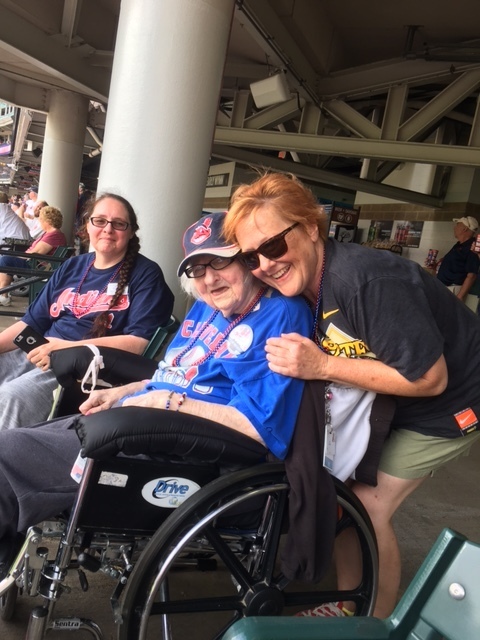 Irene Benkovich, with her nurse, aide and chaplain all attending her, went on a field trip to The Cleveland Indians game on a sunny day in May. 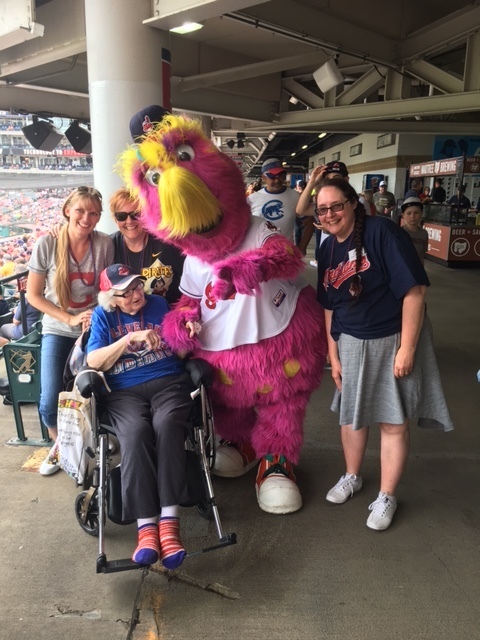 Irene has been a big fan of The Cleveland Indians all her life. Watching the game with her husband, Frank Benkovich, was their favorite pastime. In 1947, Boston Red Sox even tried to recruit him but the average baseball salary paled in comparison to today – he declined the offer to support his family. Although she rarely went to games she was invested, making time to frame the team’s schedule before hanging it on the wall. 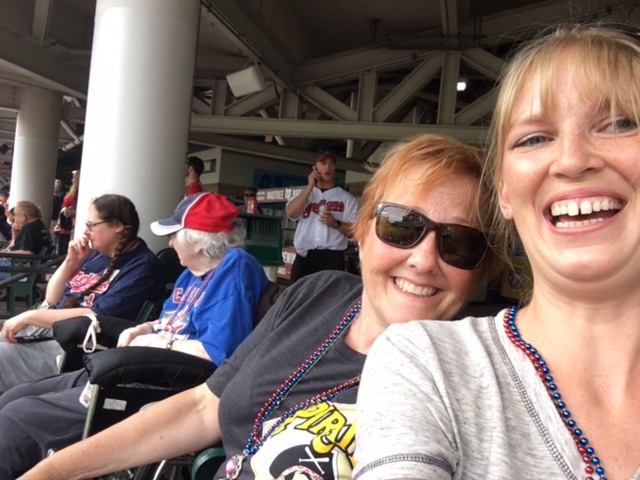 When she learned she’d be soon going to a game, she began counting down the days - keeping a calendar, circling the ‘big day,’ and marking each passing one with an ‘X.’ This trip marked her first visit to Progressive Field in 70 years. 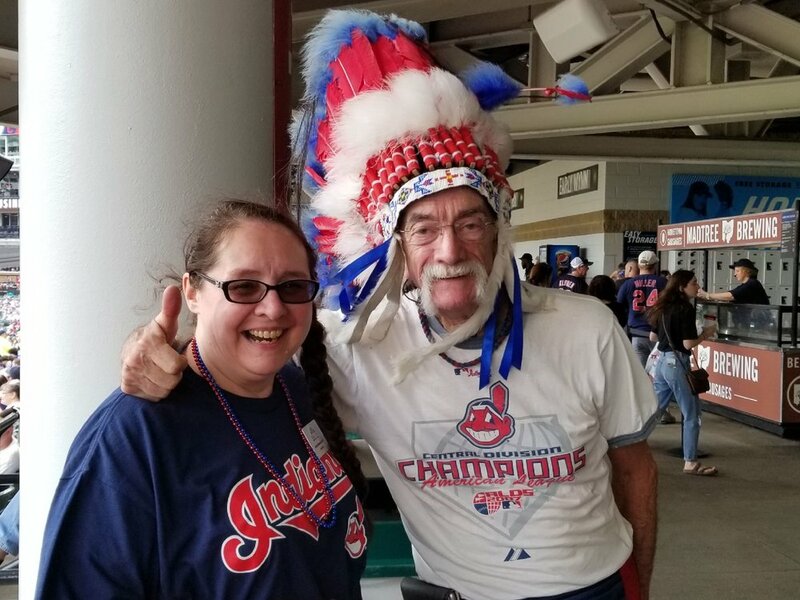 She inherited her passion for sports from her Father, John Zustin, who was a sports fanatic and loved The Indians as well. 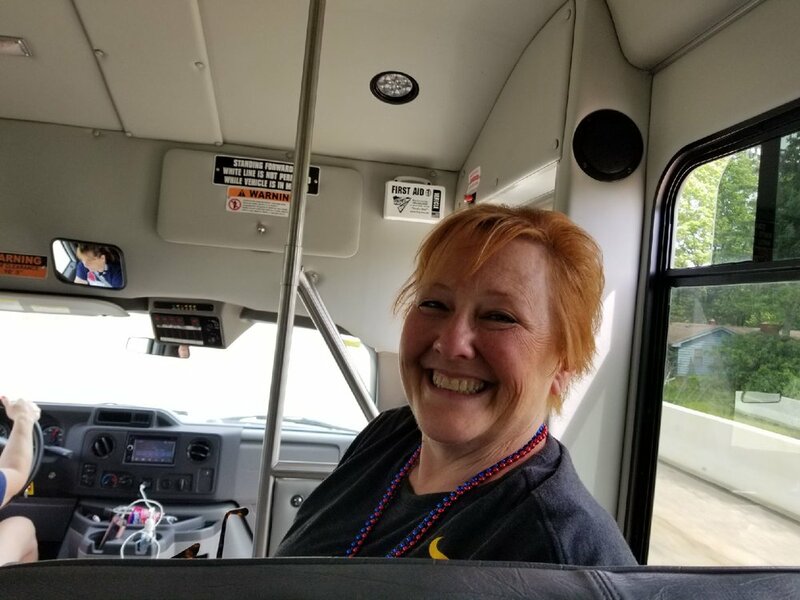 Her warm reception to this outing was captured and recalled by her team of caregivers. They each recollected the days’ events through photo submissions and quotes. Hospice Nurse and Case Manager, Lori Wilkinson, told the story while fighting back the tears. “If it were possible, we were even more excited than she was - she was just so grateful and appreciative. She relished in every kind gesture and kept on saying, ‘how could I ever repay you.’ It was just the perfect day,” said Wilkinson. This year marks the 10th anniversary of her husband’s passing. 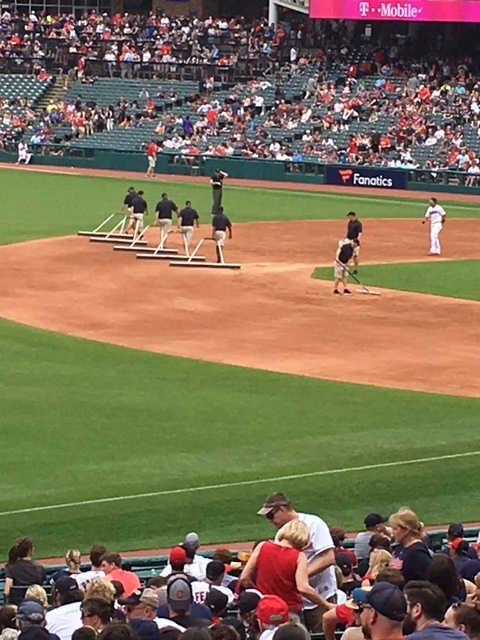 Experiencing Progressive Field, the team's mascot - Slider, and the fresh greens brought all of the good emotions to the surface. Irene’s caregiver team presented a photo book to Irene, as a keepsake. Like they knew it would, the photo book called forth all of the excitement, once again and she hasn’t been able to stop talking about it since she received it. She wants to know when they're going back.